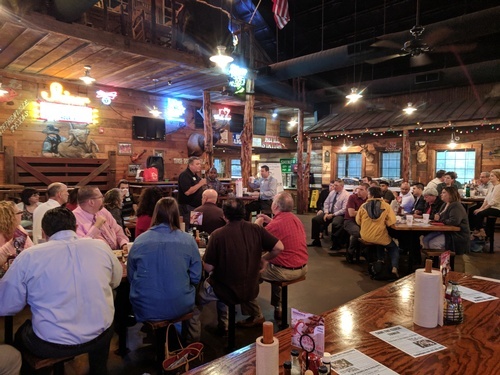 Set your alarm early and join the Coppell Chamber of Commerce at its Connections Breakfast at 8 a.m. on Tuesday, November 27, at Hard Eight BBQ. Bring your business cards, co-workers, and friends to this great networking event. You will have the chance to meet and mingle with Chamber members, Chamber staff, and business leaders. Want to win a cash prize? Make sure to put $1, and your business card, into a drawing for a cash prize. Please bring canned goods and non-perishables for the Metrocrest Services Food Drive. Please contact the Coppell Chamber of Commerce at 972-393-2829 for more information.